This high-end salon and retail boutique features an open loft-like design. 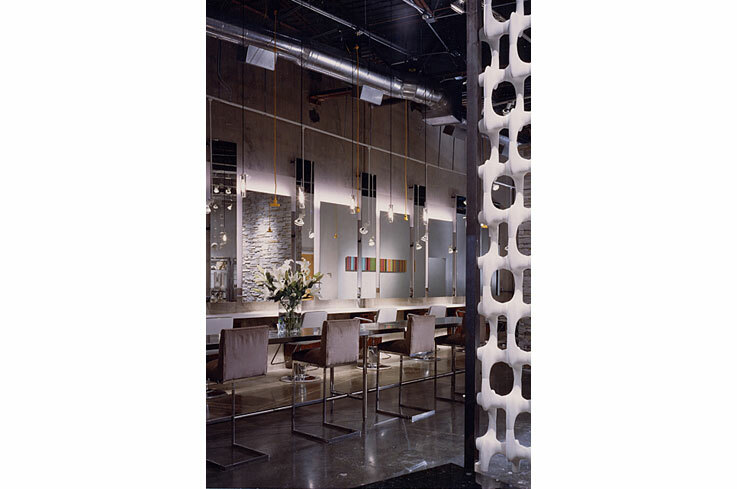 The existing features of the shell space such as the concrete floor, demising wall, and structural steel ceiling were used and highlighted with textural elements such as a feature wall of stone and a 1960′s vintage molded screen. 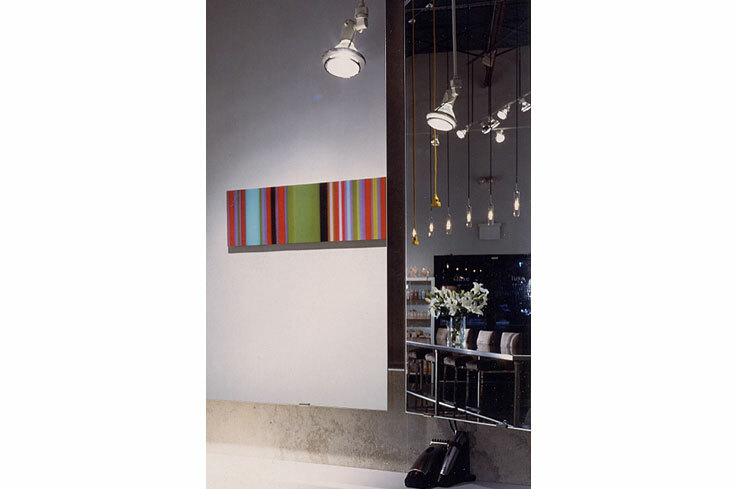 The salon stations are lined up along the exposed concrete demising wall, backlit panels, mirrors, counter and cabinets are anchored to it in a rhythmic composition. 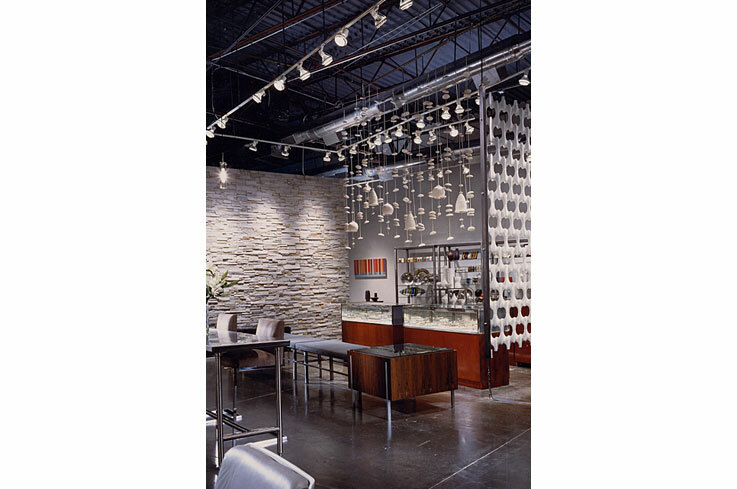 The sophisticated modern design distinguishes the salon and boutique from its suburban competitors.